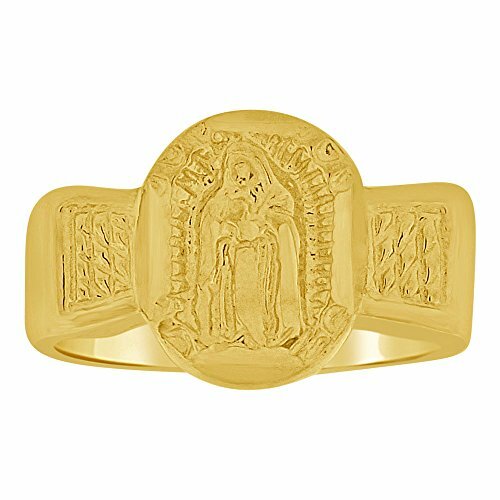 14k gold children's religious ring. Timeless and stylish design is elegant and adorable on the finger. Comfortable to wear everyday. Also works wonderfully as a pinky ring for ladies and teens. Genuine 14k gold. Gift box is included with purchase. Comfortable and easy to wear everyday. Religious theme makes it a wonderful Baptism gift. Ships with a signature requirement.